If you want to get the most out of your new electric scooter, then consider installing a quality scooter lift on your vehicle. No matter what type of vehicle you own, All Electric Scooters has a scooter lift to meet your needs. From hand operated lifts to external scooter carriers, we have the perfect solution for transporting your new electric scooter. 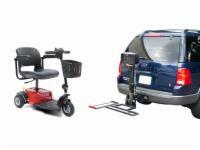 Browse our extended selection of mobility scooter lifts for cars and order online, or contact a mobility specialist at 1 (800) 462-5429 for personal assistance in picking out the best lift for your needs! Great if you are on a tight budget but need a lift for your electric scooter or power wheelchair. Manually operated, easy to install. 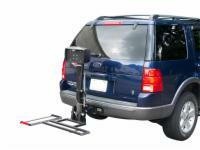 Need an inside scooter or power chair lift for your cars trunk, inside your van, or in the back of you pick up truck? 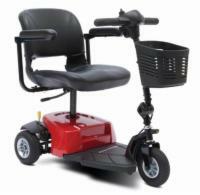 Safely transports your electric scooter or power wheelchair. Externally mounts to your vehicles trailer hitch. A lightweight and affordable lift that will keep you on the go! 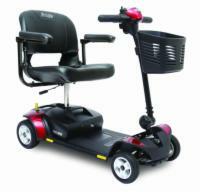 Get a great mobility scooter and convenient lift all in one unbeatable package deal!